WARRANTY 124K MILES!! FX4 OFF ROAD NEW TIRES POLISHED 20" ALLOYS LARIET PACKAGE DIESEL 44X LOADED HEATED LEATHER SEATING TINTED GLASS VIRTUALLY EVERY OPTION DUAL POWER SEATS TOW PACKAGE PARKING SENSORS This truck is easily the nicest and cleanest Diesel you will ever see. 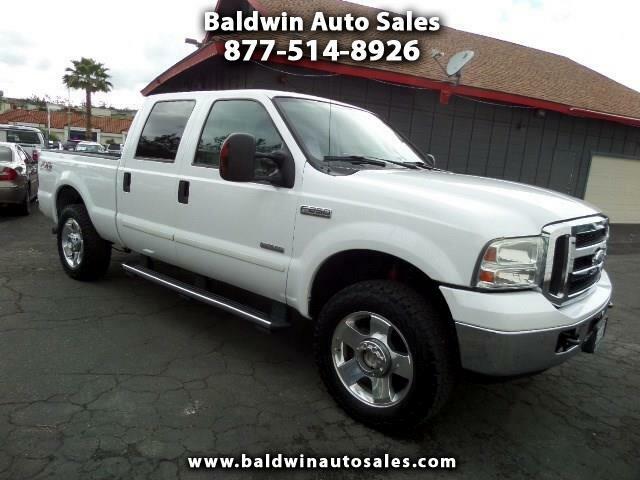 All the power options and remote entry, new tires with polished alloys, bedliner, non smoker pristine interior with wood trim, running boards, and keyless entry/alarm. Only 124k miles and clean enough to eat off!!! A 5year/100k mile additional service contract is available and can be used at any Ford dealer nationwide. Bright white with light gray interior. Very rare truck in this color combo and drivetrain.